Customer data management is a VERY hot topic these days. Given the wide range of information sources, cyber threats, and shaky privacy standards, there seems to be chaos around every corner. The reality is that end-users are becoming increasingly wary of the information they share online due to the looming fear of data breaches, hacking, and identity theft. Customer data is the lifeblood of today’s business operations. Until and unless you take the proper security measures to protect it, your brand will not be counted as trustworthy. Furthermore, customers will worry their privacy and anonymity are being compromised. 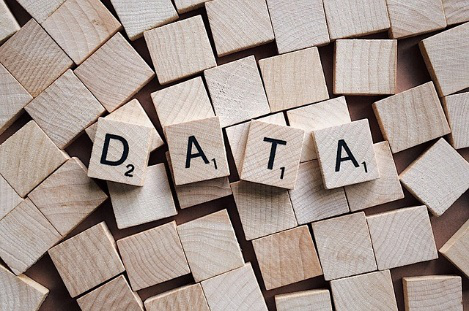 Managing customer data has more to it than just keeping track of target demographics. It helps you understand the customer journey, history with your products/services, patterns, preferences, and so on and so forth. When done right, it allows you to offer more personalized solutions that do wonders to foster long-term relationships. When it comes to customer data management, every organization must make it a point to create their own rules of capturing, storing, and analysis. But before taking a concrete step, it is essential that you define and be upfront with new and existing customers about the data being collected. This can include any form of data that’s being generated by the people who interact with your product or services. For instance, you can collect Explicit data, which is provided by the user directly and includes details such as their name, phone number, email address, postal address, social media handles, financial information, etc. The other kind of data includes Implicit data. This information is not directly provided by the users but can be sourced from indirect data collection and analyzation of interactions and audience behavior. It includes (but isn’t limited to) hobbies, interests, duration of page visits, type of products bought, how often, etc. That said, you need to tell your customers bluntly which data you are gathering and how it benefits them. You can also make it easy for the users to view all the data you’ve collected and downloaded. As time goes on, this will be the much-needed step that can pave the way for providing greater privacy and customer confidence. Once data is collected, most online users are curious about how, why, where, and when theirs is being used. When you keep them in the know about this, it helps to improve brand trust. Your transparency here will make customers feel safer about sharing their personal information, which is a win for everyone. It will surely help when you provide real-life examples of the data being used. This will give you a lead over your competition who don’t put this into practice! With GDPR officially in place, many firms have made a beeline to modify their policies. One of the crucial requirements that is going to come to light is giving customers the choice to opt out or delete the data/request for deletion if required. This puts them in the driver’s seat and in control over their own information. You can include these options at registration points or forms on the website. For example, when they sign up for a free demo, e-book, guide, etc., you can include an option to opt out of any data-based marketing tactics. Get an SSL Certificate. This shows visitors that your site is secured in the browser. Use DLP (data loss/leakage prevention). These steps will help you properly manage and protect users’ data. Have a rigorous security system in place. This begins with implementing and adhering to strict internal security practices. Conduct regular backups. This is a basic step to prepare for any evident attack. Ensure that all customer data is backed up on a drive that can’t be accessed online. Data security will always be a prime concern – irrespective of the size or scale of your business. Going the cheap route here is essentially a ticking time bomb that can eventually cause serious damage to your brand reputation. Getting your hands on customer data is a privilege that can take your business to the next level and beyond. When you become thoughtful and focused about how this crucial information is asked for, stored, and used, you can strive to make better business decisions that ultimately benefit everyone. If you still haven’t given serious thought to data management for your customers, the time is now. Implement these steps to show your reliability and there will be no looking back!